When we go to the beach, we are expecting to have a stress free and blissful beach vacation. However, if you are in a beach that is crowded with people, then do not expect that bad things will become better. The only way to enjoy your beach holiday is to get rid of these 5 annoying situations, things and people. Defecating in the Water – The most simple rule is to not pee in the water. But why there are some people who are shitting in the ocean. Probably, these are people who lack good manners. Always remember that you do not own the beach. Deafening Music –There are beach parties that happen on beach. And whether you like it or not, there will always be a loud music associated with it. Even when you are inside the hotel, you will hear those blaring music which most of the time disturbing. Cats and Dogs – Many beach resorts allow pets like dogs and cats. Since they are animals, it would be very hard for them to find their own bathroom and go pee or poop. Also, they can be distracting because they sometimes barking without any reason at all. 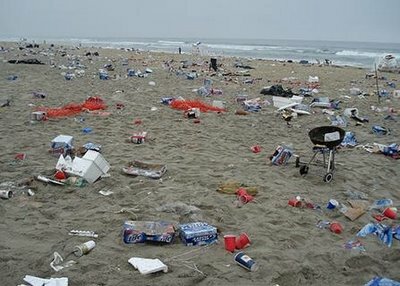 Rubbish – After the party or whatsoever, you will notice some large volume of trash in the seashore. Most of the time, people give the excuse that garbage cans is full making them throw their rubbish anywhere. In reality, there is really no excuse in throwing your garbage. In fact, you can put it in your pocket but if it’s too large just call the attention of the resort personnel and let him send the garbage to an appropriate place. This entry was posted in Travel by Editor. Bookmark the permalink.